Gone are the days when you’d only find 2D art hanging on the walls of the chicest people you know. Today’s interior trends call for texture, something that most prints and paintings just can’t provide. Though we’re suckers for the emotion that a framed photo can convey, there’s new decor in town that we can’t stop thinking about: macrame wall hangings. What is a macrame wall hanging? Macrame wall hangings are stunning pieces of 3D art created by meticulously knotting and tying fibers like yarn, cotton twine, jute, or hemp into spellbinding designs. These intricate works of art can be monotone in color, or contain an array of fibers in every shade of the rainbow. They are often grand, stretching wide, or hanging long, and they provide an instant shot of texture to any room. Though macrame wall hangings are popular in today’s homes, minimal and bohemian alike, they got their start thousands of years ago. One of the earliest recorded references to macrame appeared in the carvings of Babylonians and Assyrians, the people who created one of the world’s oldest civilizations! Even then, talented artists and makers wanted to go beyond function, and create something that was simply beautiful to look at. The macrame trend came back around in the 1970s, as trends do - think: bell bottoms, earth tones, and mid-century modern furniture. (Okay, we were never actually over any of those things). 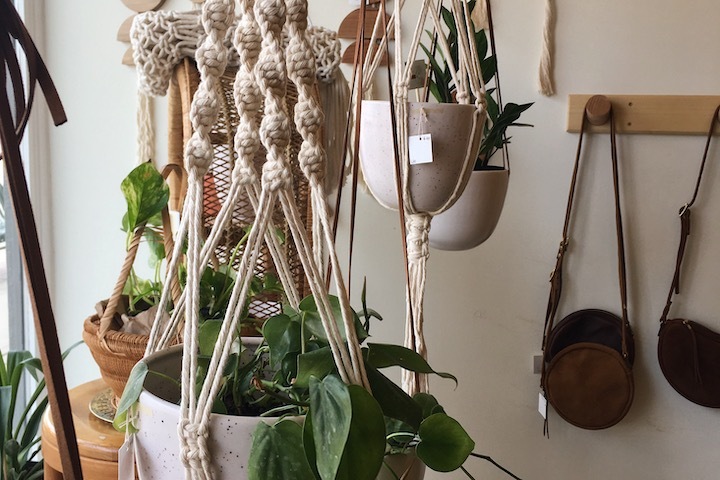 Soon, macrame wall hangings, plant holders, belts, and hand bags were all the rage, adding an organic touch to any room or outfit. Now, macrame wall hangings are back with a vengeance, ready to prove to all of us that they’re not just for hippies or our ancient ancestors, that they can be soft, chic, breathtakingly beautiful, and perfect for a 21st century home. This isn’t your mama’s macrame. Skeptical? Allow us to blow your mind. Macrame wall hangings are the perfect way to fill an empty wall. That sweeping white wall that looks alternately cluttered or bare? Make a macrame wall hanging the focal point. That strange, oddly-shaped corner that never looks quite right? A macrame wall hanging will draw the eye in, and away from imperfections. These pieces of art add subtle texture and organic flair to a minimal room. Minimalism is a major interiors trend, but without the inclusion of natural elements this design style can feel cold or unwelcoming. Warm-toned woods, and lush color choices can make a difference, but a bold design choice like a macrame wall hanging can turn a chilly room into a place that you’ll never want to leave. Finally, macrame wall hangings are often made by local artists and talented, small town makers. This artistic style draws in people who love to work with their hands, and gives them creative freedom to invent their own knotting patterns, and incorporate their personal style into their work. We are thrilled to support these inspiring artists by stocking exclusive macrame wall hangings in Dune Gift + Home. 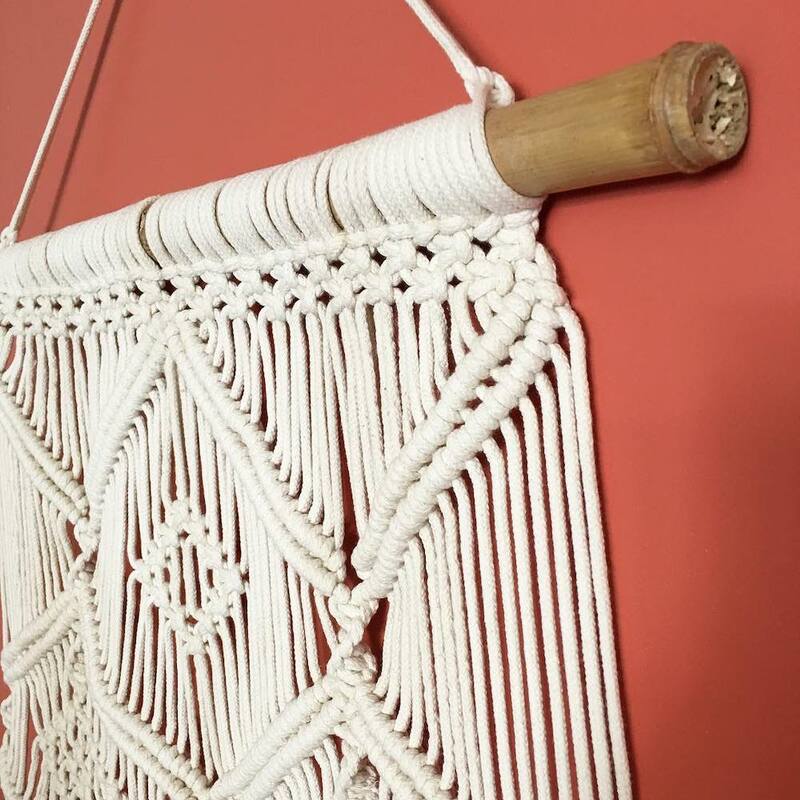 If you’re looking for a unique way to liven up your living room, bedroom, book nook or dining area, a macrame wall hanging may be just what you’re looking for. Stop in to our shop on Main Street in Stoughton, and check out the endless varieties of this eye-catching decor. Once you find one that speaks to you, you won’t be able to resist taking it home. Trust us on that one.